For the last year I’ve been developing a card game called Illimat with the band The Decemberists. As I write this, there’s less than twelve hours left in the Kickstarter for Illimat… but I still want to take a moment to write about one of my favorite elements of the game. One of the design goals with Illimat was to create a card game that felt like it could have been around a hundred years ago and simply been forgotten… or that it might be a classic card game from another world, a game that the characters of The Hazards of Love might play. As one of my favorite books is the Codex Seraphinianus, I loved the idea of creating a deck of cards that felt familiar and yet fantastic… and fortunately for me, Carson Ellis has always wanted to make a deck of cards as well. We started with a base deck of five suits – the four familiar seasons, and a fifth suit of Stars that is added in when you play with four players. These are the primary tools of play. 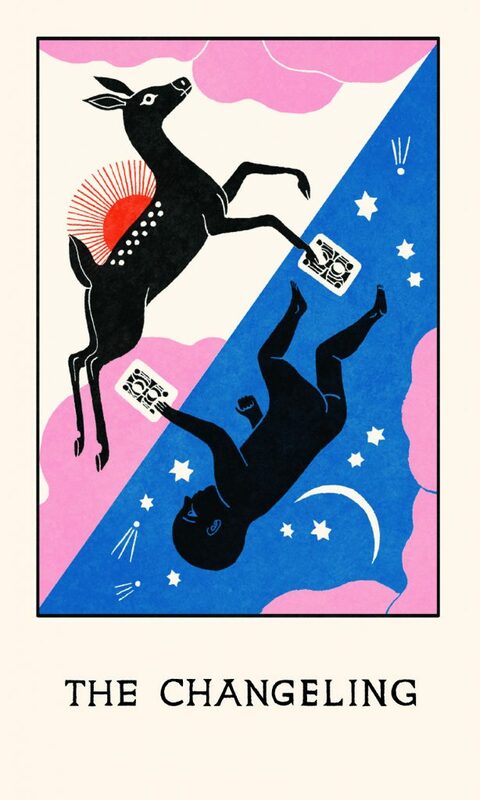 But we also came up with a second set of cards… the major arcana of our fictional deck, and its strongest connection to The Decemberists. We called these Luminaries. Within the context of the game, Luminaries are dealt face-down in each corner of the board. Each Luminary has a special ability that comes into effect when the card is revealed. Some of these are simple: while The Maiden is on the board, Winter has no effect. Others are more complicated; The Changeling allows you to exchange a card from your hand for a card in The Changeling’s field, which opens up a host of possibilities. The Changeling is inspired by the character of William from Hazards of Love. Stolen by the Forest Queen as a child, he takes the form of a faun by day while reverting to human form at night. The Changeling card presents this basic concept in an interesting and iconic way, but it also shows the exchange of cards, which is what The Changeling does in the game itself; one card is changed into another. In The Hazards of Love, William must find a way to cross the deadly river. 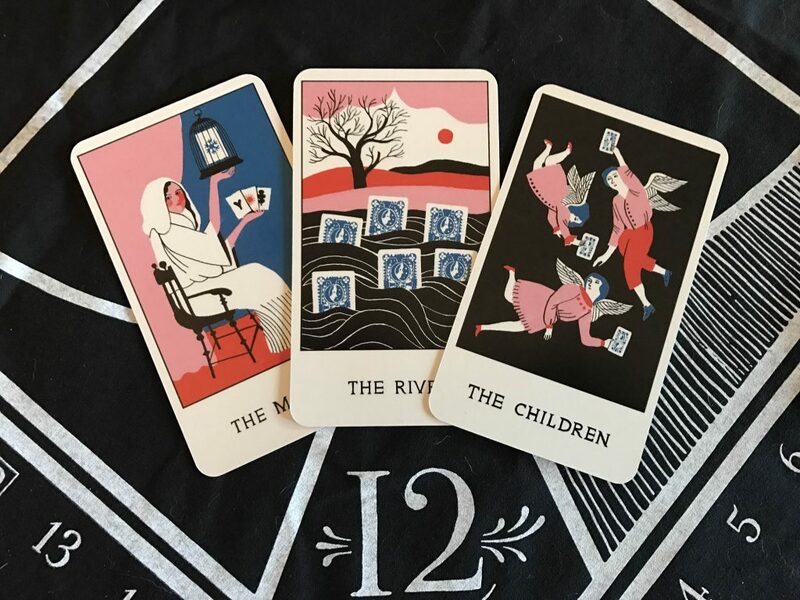 In Illimat, the field that contains The River is filled with six cards, making it more difficult to clear than other fields. 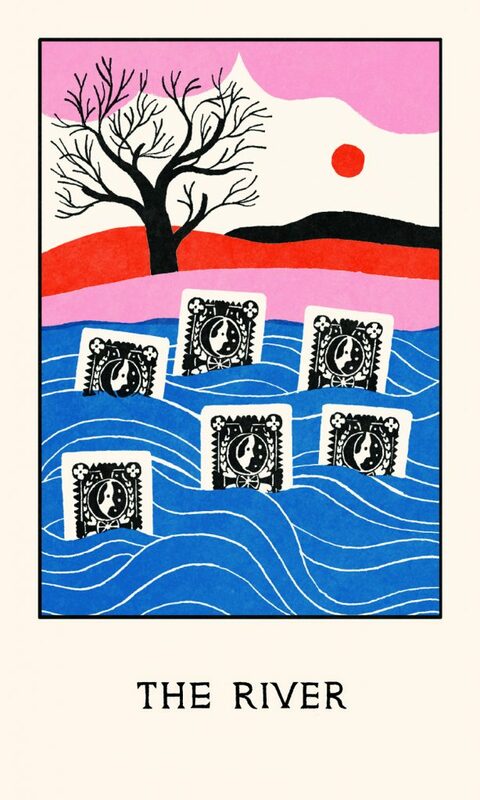 This is reflected by the six cards floating in the River. 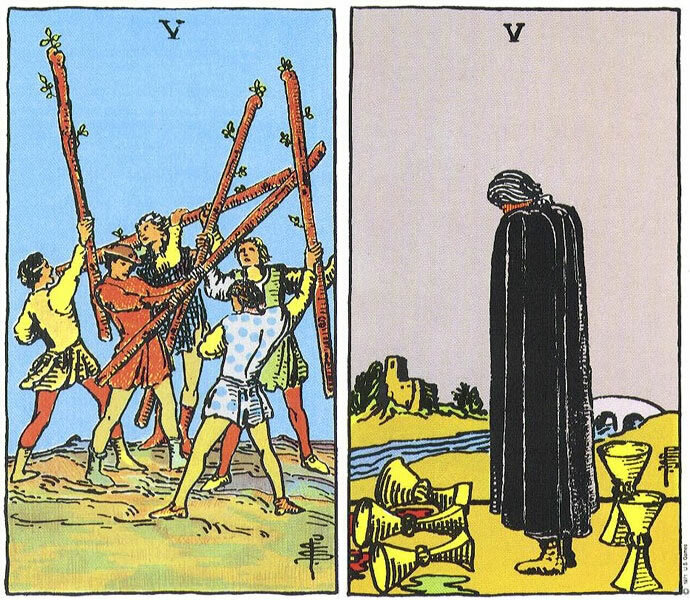 At the same time, the image of the cards in the reveal feels iconic to me, not unlike the classic Five of Cups – the cards being swept away. The card also has a secondary effect. Normally the player who harvests the most Winter cards LOSES 2 points; but if they have The River, it freezes over and they can cross… so instead they GAIN two points. Developing the Luminaries was a threefold process of coming up with a set of core concepts that felt strong and iconic while still feeling grounded in The Hazards of Love; coming up with game effects that were interesting but felt like they reflected the concept; and then developing art that combined both the effect and the concept. I’m happy with their mechanical element – but I’m especially thrilled with how Carson brought them to life. You can read Carson’s thoughts on developing Illimat here, and if you read the before 8 PM Pacific Time on October 3rd you can back Illimat here! This entry was posted in Gaming Features, Uncategorized and tagged carson ellis, decemberists, illimat, Kickstarter by Keith Baker. Bookmark the permalink.